Please join us for our inaugural Buffalo Boss Babes Creative Retreat. Our hope for this retreat is that you leave with your cup full. You leave empowered and inspired with business takeaways and inspiration. Most importantly connected and relaxed. Our creative retreat will feature many events, overnight glamping accommodations, meals, yoga, relaxation, a business panel of 4 local businesswomen who will talk about how they got started, successes, growth, fear, struggles and more, and amazing breakout sessions. Overnight glamping accommodations in woodland shared VIP cottage complete with living room, full kitchen, heating/ AC and more, or private cabin in family court (space for both is limited), All meals, swag bag, retreatt- shirt, Cabin Decor, access to floral installation, Speaker panel, breakout sessions, retreat workbook & more! Overnight accommodations in shared glamping family court/ founders court bunk house, All meals, Swag bag, retreat t-shirt, speaker panel, breakout sessions, retreat workbook and more! Day Pass- ( Only Good for May 11th- No overnight accommodation included ) This includes breakfast and lunch for May 11th. All meals, Swag bag, retreat t-shirt, speaker panel, breakout sessions, retreat workbook and more! Enjoy learning the basics of paddle boarding and enjoy a paddle around Lake Erie. 2. Braiding from Buffalo Braid Bar. blank swag bag and take home. Thank you notes with GM Calligraphy & more! You must secure your $100.00 down payment on Eventbrite to reserve your spot. Space and specific accommodations are extremely limited. Buffalo Boss Babes is a women-run blog, social media feed and event series that features amazing women in and around Buffalo, N.Y. Buffalo Boss Babes Mission is to inspire and empower the creative women who are helping to build the resurgence of Buffalo! We hope that this project provides you with encouragement and inspiration on your boss babe journey. EXACT RESERVATION ACCOMMODATION is made through Buffalo Boss Babes and on a first come first serve basis please email carrie@buffalobossbabes.com or call 716-949-4769 to reserve your specific accommodations for this event. This event will feature a keynote speaker as well as a panel of local women discussing their local women-owned business or women ran organizations. The main focus for this panel will be discussing how these women got started doing what they are doing as well as how business and community come into play in their journey. 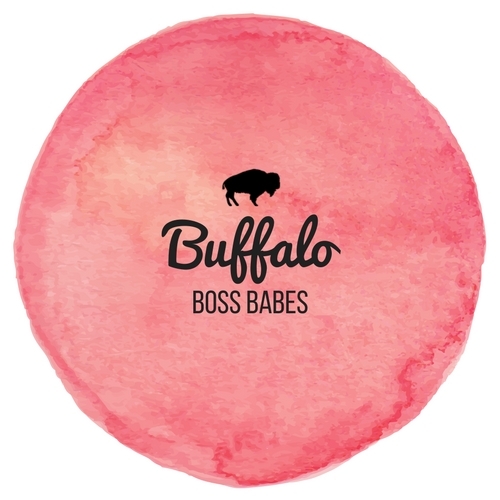 Buffalo Boss Babes is a women run blog, social media feed and event series that features amazing women in and around Buffalo, N.Y. Buffalo Boss Babes Mission is to inspire and empower the creative women who are helping to build the resurgence of Buffalo! We hope that this project provides you with encouragement and inspiration on your boss babe journey. This event will feature a keynote speaker as well as a panel of local women discussing their local women owned business or women ran organizations. The main focus for this panel will be discussing how these women got started doing what they are doing as well as how courage comes into play in their journey. Bernice Radle: is the founder and CEO of Buffalove Development and Little Wheel Restoration company which makes neighborhoods stronger one renovation at a time. Drea d’Nur: is a WNY-based singer and songwriter whose work has reached national and international acclaim with localized work to highlight the rich history of Black music and art in Buffalo. This 2017 Spark Awards Artist of the Year has performed in overseas, released two independent music projects, produced two short films about Nina Simone, directed a music video, produced two stage productions, and has album credits on the new Gorillaz album, HUMANZ. She is a founding member of PANTHFRICA.She is also opening a food pantry as part of a healthy food initiative she created! She is currently touring DEAR NINA, a Sonic Love Letter To Nina Simone featuring herself and a strings ensemble. Christian Edie: is a professional stand-up paddleboard athlete and Owner at SUP Erie Adventures. She is a team rider for Pau Hana Surf Supply, Kialoa, and Kokatat. She is also with Wanderlust SUP as a certified yoga instructor. She specializes in stand-up whitewater paddling, expedition SUP, SUP Yoga, SUP Surfing and is also an accomplished rock climber and ice climber. Christian is also a certified International Kite boarding Organization instructor. In the winter, you can find her on Maui’s North Shore teaching kite-boarding, surfing, and SUP for Action Sports Maui. She loves sharing her passion for the water with others and helping people connect with the outdoors. Check out her personal blog, WNY Expeditioners to stay updated on the latest adventures! Saturday May 12 from 4:30 -7:00 at Expo Market! This is an casual informal mixer to meet collaborate and empower each other. We hope everyone can make it and hang out with the like minded empowering women helping build the resurgence of our great city! This event will feature a keynote speaker as well as a panel of local business women discussing their local women owned business. The main focus for this panel will be discussing how these women got started to the growth of their businesses today. Keynote Speaker- Christy Muck: is the owner of Wild Blossom Hollow. She is a local flower farmer and organically inspired designer in her hometown of Forestville N.Y. She started Wild Blossom Hollow in 2014, and what started as a hobby has turned into an ever blossoming farm and design studio. Our goal for this speaker series is that you walk away feeling empowered and inspired by our growing community of women owned businesses and Buffalo Boss Babes. Tickets for this event are on a first come first serve basis and include entrance to the speaker panel, coffee, a light breakfast, as well as one complimentary Boss Babes Coffee Cocktail or Bloody Mary.